Otra Oportunidad | Animal Rescue Association. Granada, Spain. 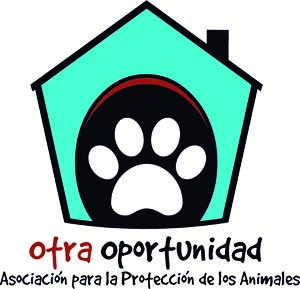 The Animal Rescue Association Otra Oportunidad (Another Chance) is born to rescue and improve the quality of life of abandoned animals, promote adoption and responsible ownership, raise awareness about the serious problem of abandonment and prevent animal sacrifice. In Spain, unfortunately, around 150.000 dogs are abandoned every year. Many of them are in the streets and others are dying in dog pounds. The founders of the Association are volunteers who have experience in the treatment and care of dogs, we understand the reality of animal abuse and abandonment; that´s why we fight every day to change it. The few private funds that we receive, have led us to form this Association with the intention that, with just a little help from many people, we will have more resources to take care of animals, find them a new home and family and change their future. Our goal is ZERO SACRIFICE because we believe that all animals deserve another chance. In order to achieve this, we need the help of people sensitized to animals like you. Help us, they deserve it. If you want to cooperate with us, click here. My name is Brien Thurston, founder and executive director of Pet Loss Canada http://www.petlosscanada.com , a non -profit organization which deals with folks who suffer from the grief of animal death. We have counselled in excess of 5K from such countries as Canada, USA, England, Ireland, China and Australia. I saw your article on Batilla and was very touched. I would like you to consider developing some sort of alliance with us to broaden both our scopes of animal cruelty and death. My wife and I have 4 cats, all coming from animal rescue and we are strong supporters of all efforts to promote animal care and protection. Thank you very much for writing and for the work you do. Please, contact us through our email info@otraoportunidad.org. Thank you! Thank you Eva for your support! 🙂 Here you can find our PayPal donate button https://otraoportunidadeng.wordpress.com/cooperate/ Kind regards from Granada, Spain!